Strange Systems Strange Systems - Architecture. User Experience. Exploring the overlap of physical and virtual. Mobile, coupled with the web and social media becomes a powerful tool. 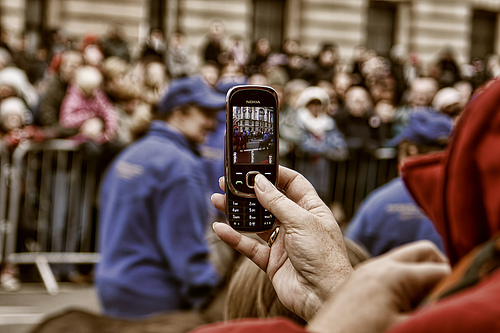 From the Occupy movement to the Arab Spring, mobile has been playing an unparalleled role in expressing opinions, organizing individuals and distributing information. Enough power to the people to disturb, topple and change. As of 2010, more mobile devices are sold worldwide than PCs. By 2013, mobile will overtake PCs for worldwide web access. Global mobile data traffic is almost tripling every year. Over 40 percent of U.S. cell owners have smartphones. Typical smartphone usage in the U.S. is about 80 minutes a day. I am sure you remember the questions in the mid 90’s: why should I put my organization on the internet? And then again a couple of years ago: why should we have a social media presence? And now: why should we go mobile? In order to stay relevant and engaged. Because that’s where you users are getting together and hanging out. Mobility, always-on access and dropping costs are ultimately driving people accessing the web through mobile. One important thing to consider is that mobile interaction is not the same as your desktop experience. Josh Clark in his book Tapworthy characterizes mobile user experience as – on the go: one hand, one eye, one big blur. At a desktop, users can dedicate their full attention to a task at hand and often multitasking to get a job done. However on mobile, the user is walking in a crowd, talking to someone, riding a bus, looking for a book, buying wine, waiting for a movie to start. Either the user is half distracted because they are performing another task and/or the environment they are in has tons of distractions. This is a basic fact of mobile that you have to work with. The key takeaway here is that mobile apps or website need to be simple, useful and a small focused subset of the content or service you would normally offer on your full website. So, armed with this understanding, what are some strategies for going mobile for nonprofits? Scenario: You are a organization that has a small web team which consists of… just half of your time. Your task is to update a blog and maintain some information pages. You have a Facebook page and a twitter feed that you also update periodically. 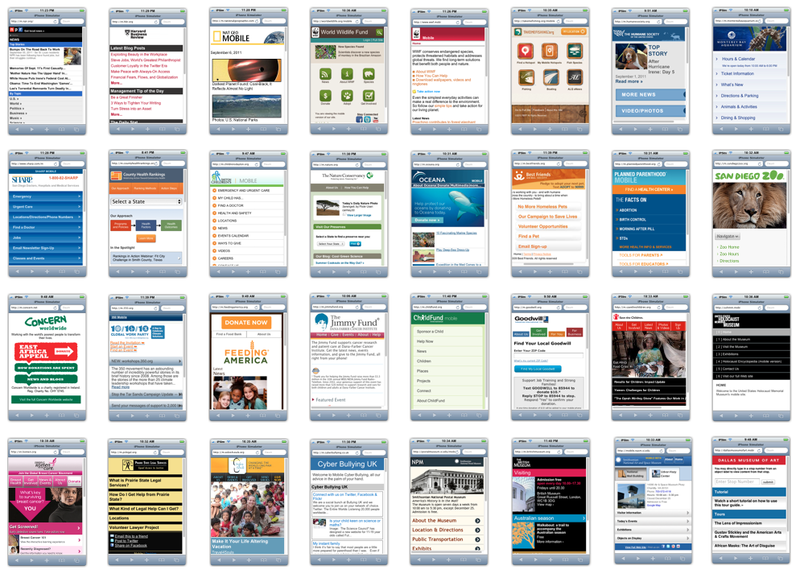 Many popular blog platforms offer mobile display options. If you are running WordPress you are in luck. There are a number of easily installed plug-ins that will make your site look good on a mobile device. The plug-in will detect when the user is using a mobile device and serve up the a mobile version automatically. If you have a static site that you’ve been updating manually maybe now is the time to think about moving your site to a blog platform. Online services such as WordPress, Blogger or Tumblr all allow you to use your organization’s URL, easy to customize and have good mobile themes you can install or enable. Another low hanging fruit is creating a mobile template for your email newsletter. Traffic to your website from mobile devices may still be growing stage, but your email newsletter is a different story. Looking at our own email newsletter stats, over 40% of users opened our email on iPhones alone. Users with smartphones regularly check email from their devices on the go, and trying to zoom into teeny text while standing on a moving bus or train is not fun. Zooming requires both hands, whereas on a mobile-friendly email you can read and flick through without much effort. Most major email newsletter services like MailChimp offer mobile email templates or you can create your own. Scenario: Your site is powered by a Content Management System (CMS) that you’ve invested a lot of time, money and effort into. All your content reside in this CMS, and an upgrade or redesign with mobile in mind doesn’t seem like an easy option. You need to figure out what your high value content is. To do this you can apply the 80-20 rule, where you identify the 20% of the site that meets the broad needs of 80% of the users that come to the site. The hard part is focusing on the high value content or service – not from your organization’s perspective, but for your user. If you can’t provide value or utility, they will leave or even go to your competition. With the content that you’ve identified, you can create a small mobile site that is simple and focused, with clear design and branding. Use code to auto detect whether your user is viewing the site from a mobile device and serve up the simple mobile site. You can still have a link to full site in the footer, should the users want to access features not offered on the mobile site. Scenario: Just when you finally have a decent site, and things are looking manageable, you now see iPads, Galaxy tabs and Amazon Fires flooding the market. How are you going to handle all these proliferating devices and screen sizes? 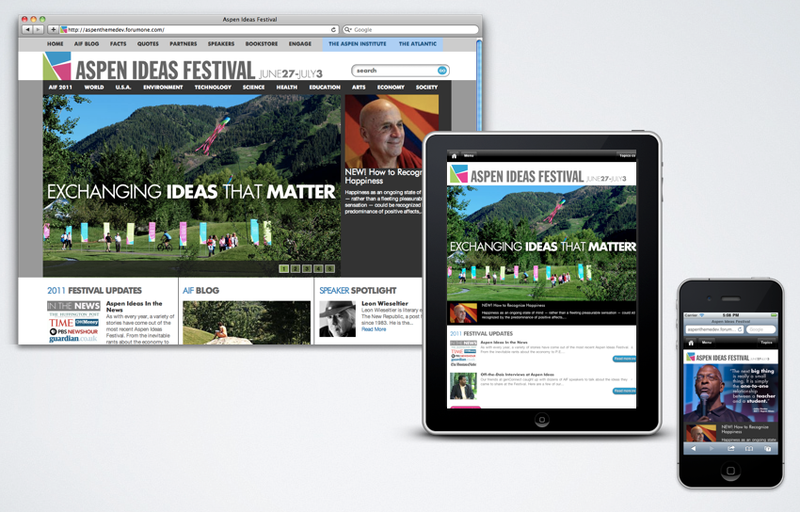 Responsive design is a way to make your site look good on multiple screens sizes. Check out the Boston Globe site. Pull the corner of the browser and make the window smaller. As you do this, the layout dynamically adjusts to be optimized for the screen real-estate. If you look carefully, you’ll notice that there are actually 3 layouts: full desktop-size with 3 columns, tablet-size with 2 columns and smartphone size with a single column. In order to make your site responsive, you’ll need to invest some time and resources to first figure out how content and interaction should be optimized for each screen size group (smartphone, tablet, desktop PC), and then do some custom coding to make this happen. You also need to consider touch screens. The good news is that many platforms such as Drupal and WordPress have responsive design themes that you can customize to fit your sites design. Scenario: When you see so many organization with dedicated iPhone or Android apps, you start to wonder if you need one too, but not sure whether a native mobile application is worth the investment. Before you start down the path of developing a native mobile app you need to be clear about why you need one in the first place. I would argue that most organizations don’t need a dedicated iPhone or Android app. So naturally the first question to ask is mobile web app or native app? A mobile web app runs in a mobile web browser whereas a native app you download from the App Store or Android Marketplace. Now that the line between the two in terms of functionality and design are beginning to get blurred with web apps performing higher-level functions such as video, gestures and GPS integration that have been classically been the realm of the native app. You also see hybrid apps which are web apps wrapped into a native app. Native apps are harder to maintain and require users to download update, whereas web apps are always up-to-date. Native apps don’t need a live connection to the internet. Native apps can be more complex and rich in its interactions, and larger in file size. Native apps to hold prestige and convenience with an app icon sitting on the phone. In the end it boils down to the users. Do you have a user base that is dedicated and focussed that will benefit from having a targeted native app? Some examples may be: a lookup/diagnostic app that needs to work where internet connectivity is limited; an app that allows a tight-knit community to more effectively connect and share information; a game app that provide training in a fun and engaging way. Another hard decision is whether to go iPhone or Android? (There is also Blackberry, Symbian, Window Mobile and Bada). Once again this decision depends on who your audience is and what they are most likely to be using. I would argue that most of these requirements can be fulfilled with a web app, and that there needs to be a clear reasoning for going down the path to develop a dedicated native app. Carefully consider your needs, and the needs of the audience, and your budget. Leverage the content that you already have. Use ready made tools. But if you want to create dedicated experiences, choose higher options. Thinking about mobile is a good opportunity to really think hard about what is most important content/service your organization should be presenting to your audiences, and also what your audiences consider most valuable. When you only have a few distracted seconds on a small screen knowing this becomes crucial. So much so that many experts including Google are talking about a Mobile First strategy, where you think first about your mobile users and their core needs, and then additively make the experience richer as you look towards larger screens. I was recently invited to speak at DUXcamp hosted by NPR and then again at Microsoft Research around the subject of Mobile and Storytelling. I created a rather stream of consciousness presentation, bringing together various thoughts about storytelling in the mobile space. 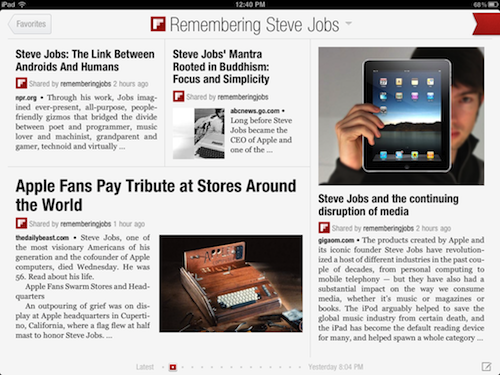 Still very rough around the edges but a central theme is beginning to emerge: Mobile allow stories have scale. With the arrival of smartphones, it’s amazing how much data we are collecting and consuming on our mobile devices. We tweet, checkin, google, blog, instagram, post status updates, yelp and a host of other things from our handheld devices. And somewhere on the internet this information is quietly collecting. In the ancient times, pharaohs had scribes that shadowed them, recording what they said. Now we have our mobile devices diligently collecting our data. There was once a time when people used to record their lives and thoughts in leather-bound diaries. 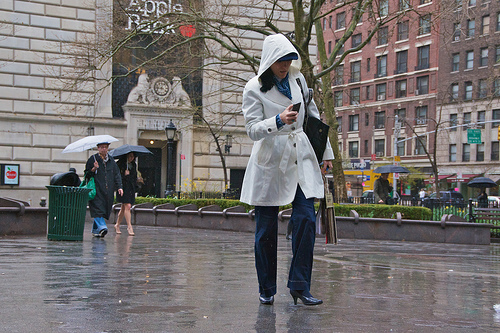 Now we have smartphones, whose data, when strung together form a story of our lives. I can’t remember when I heard it for the first time, but someone said, our identity is the story we repeat to ourselves. This is so true. I keep on telling my story of how I moved between the East and West, between physical environments (architecture, urban design) and virtual (web and mobile development and strategy), between technology and the humanities. I don’t have an identity grounded in an single culture, nation or land. At one time, I would have referred to this as being nomadic. Now I can just say I’m Mobile Me to borrow a term Apple has abandoned. Today we have a wild abundance to the ways we collect our stories. Many of them track us automatically: Nike Plus tracks my run, Mint.com tracks my finances and spending patterns, and Trip It neatly organizes my travel plans. At the rate that memory capacity of devices are increasing, in a couple of years we will have an iPhone which would hold 256GB of data. Battery-life permitting, this would mean (albeit at a low resolution) you’d be able save your whole life by dangling your iPhone around your neck and recording every moment. This is often referred to as life caching or lifelogging. But what’s the point? When will you have the time to go back through hours of video to find and edit the interesting or meaningful parts. Jorge Luis Borges points out that 1:1 scale map is useless. Aren’t we doing just that when we don’t filter to good from the mundane? Nicholas Felton has been obsessively collecting data about himself and publishes them in annual reports about himself since 2005. And now with his own iPhone app Daytum, you too can be as obsessive about your data as he is. But Felton does provide us with a insightful clue. What data is meaningful? 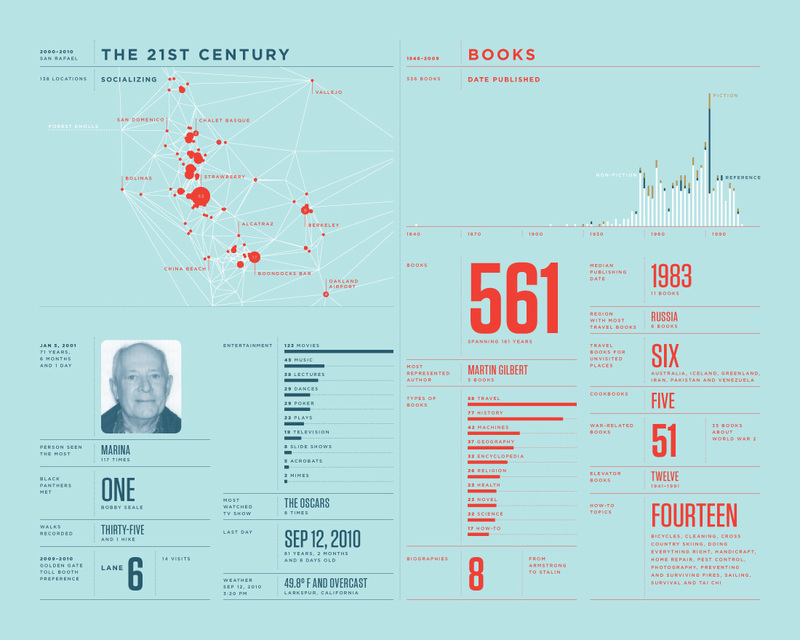 For his 2010 Annual Report he compiled and presented data around his father’s life. It is surprisingly moving. He masterfully abstracted meaningful data from the numbers and constructs a picture that pays a deeply personal and loving tribute. An iPhone app called Memento compiles the data from your various disparate personal information repositories such as Twitter, Facebook and Flickr, and brings them back into a diary format, of all things. What used to be manual labor is automagic and becomes personal again. You can even add diary entries. What emerges is a story – your story. You see densities of information where you had memorable events, and long silences where you were buried in depression being dumped. We live in the age of Facebook. But Facebook is horrible when it comes to telling stories. It presents fragmented pieces of people’s lives that we are often forced to react to rather than engage. The timeline, in its quest to present ever growing amounts of information to us, become as fleeting as the stock ticker feed in Times Square, and belittles the personal importance of each post, by rendering it in the same small block, with the same small profile icon, in the same small font as everyone else. Some people are simply more important than others and we want to pay more heed to them. They are larger in our minds. Why are they the same size as the person whom I casually had a short conversation with at a conference I don’t even remember? Facebook is addressing this issue by adding filters, but with all the data crunching power that they use already around analyzing my relationship with my friends, shouldn’t they know who is important to me already? Newspapers know how to present information. They’ve had enough years to refine their art. Typeface sizes matter. The fold matters. Sections matter. Photos matter. They bring your attention to what they deem important. Flipboard is an iPad app that tries to do that, by providing an illusion of priority through a tactful manipulation of layout, font sizes and images. It provides much needed difference and rhythm we are attracted to, over the often mind-numbing flat Twitter or Facebook feed. 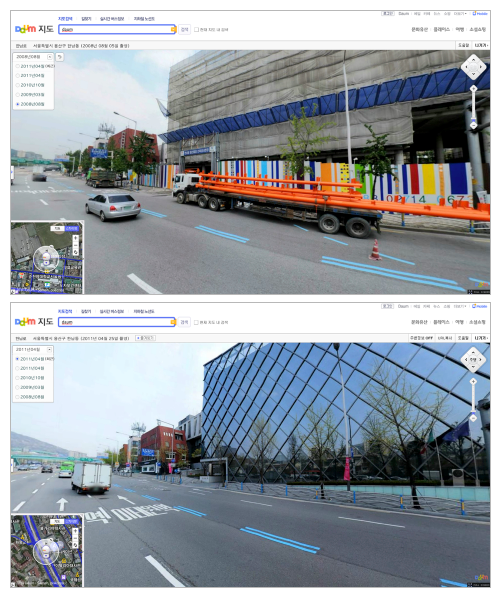 Daum Communication, a leading internet services provider in Korea offers a map service with a streetview option, much like Google Maps does in the States. As of Feb 2011 however, they have added a feature that goes a step beyond: streetview history. You can select from various past dates when the streetview camera captured the image. As one example, you can view the building where Daum is located now, under construction in 2008. Maybe it’s possible to take this further by using tools like Photosynth to crowdsource forgotten images from people’s photo albums or maybe even add historic archival images, so that when you are viewing a certain place through the streetview tool, you can actually go back in time and take a historical journey through a neighborhood. Historians can narrate stories of a city’s development or you can tell your own story of fond childhood memories. What was once a personal memory can now build up a crowdsourced collective memory. Curtis Wong of Microsoft Research has an wonderful presentation of Microsoft’s World Wide Telescope project where the tool for presenting the universe around us sets a stage for storytelling by allowing researchers and students alike to create a narrative through the interface. 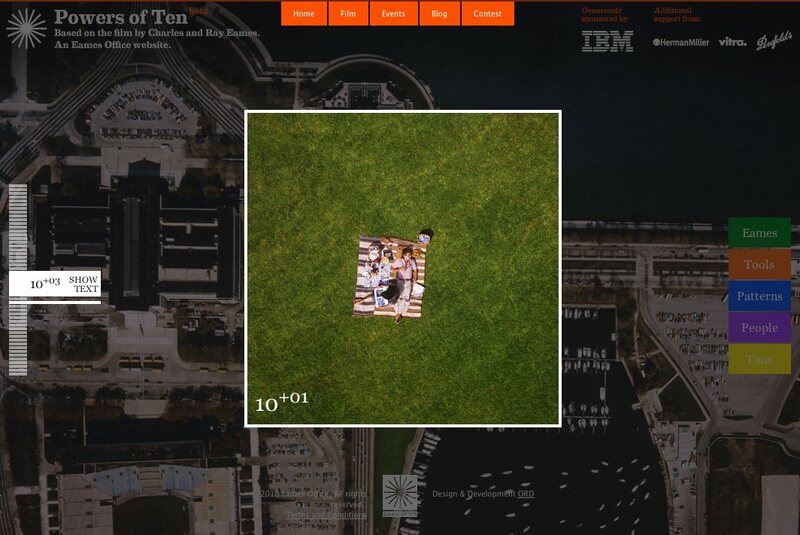 Something like an interactive version of Charles and Ray Eames’ masterpiece Powers of Ten. Usahidi, an interactive map-based information collection tool was born out of a need to capture and report post-election violence during Kenya’s 2008 presidential elections. Usahidi means testimony. Since then it has been used widely to crowdsource data through mobile devices and present them dynamically on a map: from neighborhood snow removal updates to crime reporting. Most noteably it was deployed in the aftermath of the devastating earthquake in Haiti to crowdsource unsafe conditions and aid relief coordination. How did you hear about Steve Jobs’ death? A lot of us heard through Twitter or from someone who heard it through Twitter, as a collective gasp went through the twitterverse at the news of his sooner-than-expected death. 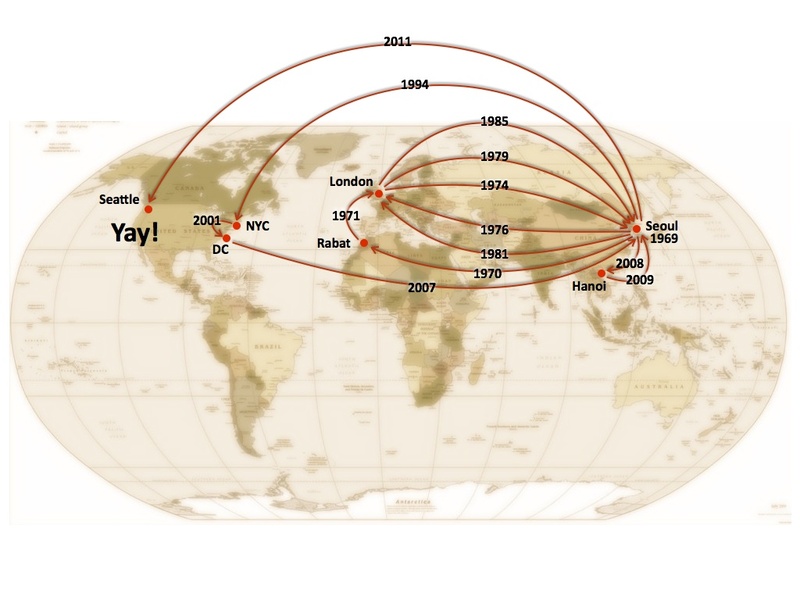 Tweets per second (TPS) is now a proxy for the velocity of the spread of news. When it comes to TPS, surprisingly Jobs’ death ranks #5. It’s the news of Beyonce’s pregnancy announced during the MTV Video Awards that takes the honor of #1. A newborn life wins over death. Jawbone, which produces high-performace mobile headsets, just came out with a very affordable health monitor bracelet called UP. Coupled with a smartphone, this bracelet tracks your eating, sleeping and exercise habits and “nudges” you to adopt better habits. You can imagine market-research groups like Nielsen paying people to don a device like this to track how people really react to what they are watching. Nike Plus gathers data about your run, but what would it be like if global events were tracked not just in the number of media reports but as bio-metric data? What kind of story would that tell? What would a collective “gasp” look like when people heard of Steve Job’s death or Beyonce’s pregnancy? The result is very close to how our minds actually work – we capture more information and memories in relation to how intense our experience is. Time slows down because we are collecting more information (often for our survival). This is exactly what happens in the way we collect data through our mobile devices. The more significant the event or location, the more photos, tweets, status updates, blog entries we create about it. You can see it on an individual level, but also on a greater collective level. If you were to represent this in a graphical way, you’ll see something analogous to World Wide Telescope’s universe, where you would have stories instead of stars. What would it mean to look at galaxies of stories across time and distance, zoom into individual shining stars of stories, or encounter black holes where a natural disaster abruptly muted thousands of voices in a single horrific event. You can almost imagine ripples of story supernova spreading at the speed of light as the news of the disaster spreads in its aftermath. Recently, overcoming a freak October snowstorm in Washington DC, I went to the National Museum of the American Indian, and then to the National Museum of American History. There I witnessed two institutions telling stories. One of a frequently muted story of the American Indian, whose so many tribes are now forgotten because their stories did not survive the diseases, conflicts and forced migrations. In contrast I saw the victorious stories being told of a young nation who overcame colonial powers, native inhabitants and inner division, whose short story is still unfolding, and needs to be remembered and repeated because its identity and survival as a nation depends on it. When I showed Google Earth for the first time to my dad on an iPad, the first thing he did was to look for the house he grew up in, deep in North Korea, having left it behind some 60 years ago during the Korean War. I saw the concentration and the emotion that poured over his face as he searched for his childhood home by scanning the geography but also his memory, desperately inferring its location through the landscape of streams, valleys and railroad tracks he remembered. Zooming in, it’s my dad’s childhood story. Zooming out, it’s the tragic story of the Korean War and the subsequent division of Korea. Further out, it’s the historic story of the fear and ideological power struggle between the superpowers following World War II. Our identity is the story we repeat to ourselves. If that is so, what is the story we repeat to ourselves as an individual, family, community, region, nation or as a humanity? 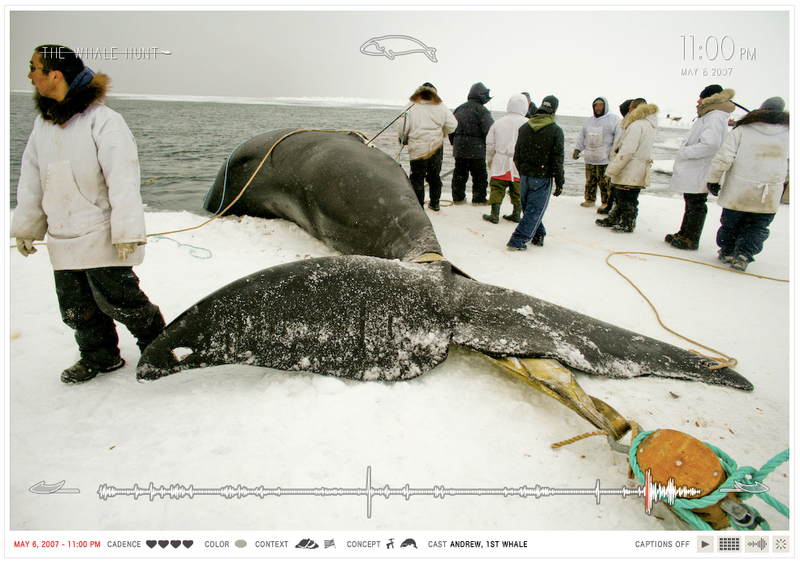 For the first time in history, as we collect so much data about ourselves, we have the potential to simultaneously see our stories unfold dynamically at different scales. And maybe that can teach us something about ourselves. Microsoft Research has just posted the presentation online. It’s in 2 parts. See the second half. A recent meeting with a friend who is interested in technology in education, a NYTimes article More schools embracing iPad as a learning tool and recent flood of attention on the growing tablet PC market got me thinking about the potential of tablet PC’s (Apple iPad, Samsung Galaxy Tab etc) as a disruptive innovation for education. Here’s are 5 attributes of tablet PC’s that I think may help to tip the current education system. 1. Data driven. For the first time in education history we have the opportunity to monitor students progress in minute detail through tablet PC’s. A good example of this is the TeacherMate learning systems which has already been relatively successful. Teachers can see which students are falling behind and where they need help. It also shows areas where students excel. This opens the potential that given this data, education can be personalized to some degree to fit the needs of each individual student. If advances in biotech allows us to dream a future of personalized drug treatments, why can’t we dream an age of personalized education? There could be a core curriculum that every student must fulfill, however with data on each student, they could also have a tailored curriculum that meets their aptitude, interests and areas where they excel. 2. Open ended. Many mention the benefits of tablet PC as a replacement for heavy and expensive textbooks in the classroom. Yes, that’s an obvious solution, but I think they are missing the point. I don’t like the notion of technology being relegated to eBooks in schools simply because this makes them just digitized versions of a the traditional closed knowledge system: books. There is nothing wrong with books. Books have worked fine for hundreds of years and I am sure they will continue to serve us for the foreseeable future. But there is something not quite 21st Century about text-“books”. 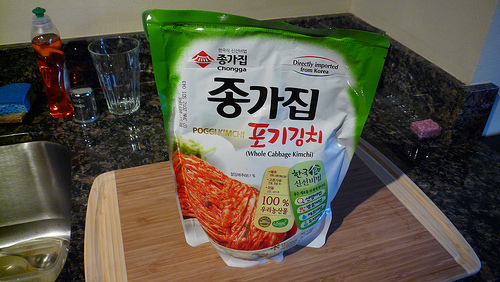 Especially the kind that is government vetted, approved and issued, as we have in Korea. Tablet PC’s are open-ended meaning apps can be developed that not only teach the core concepts but can be open to tap the infinite and dynamic knowledge that is embodied in the Web. This is one of the founding principles of OLPC (One Laptop Per Child initiative). If OLPC’s are doing this already in developing countries where they are deployed, why not in our classrooms? 3. Networked. Kids learn from each other. As Mitra Sugata mentions in his inspiring TED Talk: The child-driven education, kids are consistently teaching each other. If you look at how a teenager does her homework, you’ll see that she is consistently messaging her peers for information. In this always-online, socially networked world, knowledge-making and learning has become inherently collaborative. A networked device allows for communication, collaboration and peer learning. Learning to collaborate is key to surviving in this ever increasingly networked society. As Steven Johnson points out in his book, Where good ideas come from (also see: TEDtalk, animation), innovations come less from lone geniuses in our midst but as a result of collaborations that build on the knowledge and ideas within fluid networks. 4. Portable. There are no cables attached to an iPad, and the battery lasts a whole day. This is more significant that it sound. This means kids can use them for a whole school day. This means they can work by themselves, in a classroom setting, in the library or huddled around a desk with their peers in a group project. It goes with them wherever they go. We still have “computer labs” in schools, where kids come to interact at fixed times in their curriculum. Being portable means they have a personal assistant with them at all times, with the all above mentioned attributes that this entails. 5. Interactive. The new tablet PC are inherently interactive because they are touch enabled. Being able to touch something is a giant leap from the moderated experience of typing a command, or click a mouse on a screen. Touching something evokes an emotional response, which allows for a far more satisfying user experience as anyone who has seen kids interact with an iPad would attest. 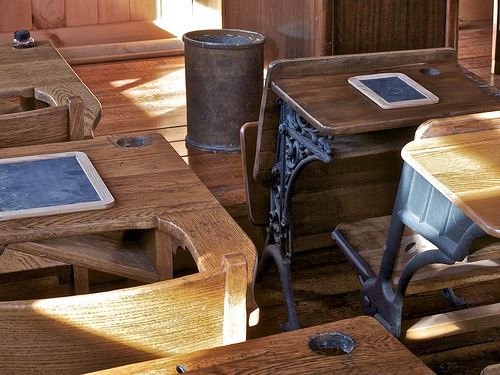 Tablet PC’s force developers of educational application to rethink the whole user experience (I would hope). 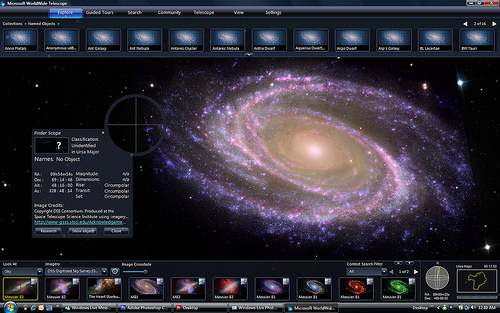 It brings a whole new dimension of interactivity to applications that go far beyond the point-and-click variety. A storybook for example cannot be just a “flip the page” experience. Characters and objects need to be responsive. You may even be able to rearrange the story and it’s outcome by directly interacting with the story. Touch-enabled interaction really opens up a whole new area that had been explored only in limited ways on a desktop computer environment. You can now have the constructivist learning environment that Lego afford. We have yet to see these types of applications come into full blossom, but I am sure it’s only around the corner. Maybe I’ve painted an overly rosy picture of technology. Every technology has its perils. I can tell you that my 4 year-old is already addicted to my (now his) iPad. Technology makes things worse a lot of times, but that should not take away for the opportunities it does afford us. We have to be mindful and vigilant about its pitfalls, and make sure kids are interacting with technology within a guided, safe environment. No conscientious parent would let their kids wander by themselves in the streets, which is tantamount to what we are doing if we allow kids to access the open web, by themselves with no control or moderation. As with many things, it is hard to innovate from within. Just ask Michelle Rhee. However, there are rare opportunities that we can leverage to make change happen. I certainly wish that this time technology, in the form of tablet PC, in the right hands and minds, is the push we need to upgrade our antiquated education systems. On June 3-4, I had a rare opportunity to be up close with Bill Drayton, founder and CEO of Ashoka. He was invited as the keynote speaker at “International Conference on Social Entrepreneurship 2010”, an event hosted by Korea Development Institute (KDI) and Korea University in Seoul. I was asked by Ashoka to be a volunteer interpreter for him during his informal schedule, meeting with members of the Korean press and other meeting with interested parties. On many occasions he reiterated that he mean this quite literally. Everyone needs to be a changemaker. He observes that the rate of change and people causing change is increasing exponentially (he often motions with his hand an arc rising upwards). We live in a world where change is omni-present. All institutions need to adapt very quickly. How do we survive in a world that is ever-changing? By being changemakers. Those who cannot adapt will be left behind. He rhetorically asks, do you want to become Detroit or Silicon Valley? The most powerful force in the world is an pattern changing idea in the hands of a changemaker. Of all these qualities, Drayton puts highest emphasis on the last, ethical fiber. Social entrepreneurs never work alone, but recruit hundreds or thousands of people to make change. Unless they can establish trust in the people they work with, they won’t get far. They need to be able to cascade the changes, and often in the process recruit people who in turn become changemakers themselves. When interviewing candidates, Drayton talked about using the “cliff test”. He would imagine being at the edge of a cliff on a dark, windy night with the candidate beside him. He would feel the uneasiness rising up and at the moment of fear, if he feels can still trust the candidate, it’s a good indication. The role of Ashoka is to provide support to social entrepreneurs, through its network, consulting and legal help provided by its partners, (which include McKinsey and many law firms) and in some cases with funding. Ashoka’s strength lies in the network of fellows, now numbering close to 3000, working across all continents, and its collective knowledge. One entrepreneur can make a difference locally, however with a network of entrepreneurs you can begin to see what is happening and where things are heading on a global level. Drayon explains that the highest level of social entrepreneurship is “Collaborative Entrepreneurship”. How do you see and move the world to the new paradigm? What is the fundamental change that is coming? How do you discover that? When you have a network of fellows collaborating across borders to tackling tough issues such as human trafficking, education and the environment, you can begin to see a much greater impact. How do we educate our young to adapt and work with change? Ken Robinson in his TED talk, mentions the need for creativity in our education. Drayton enlists the concept of empathy. Young children need to master empathy. Unless children master empathy, we will not be able to see a world where we collaborate to solve big issues facing humanity. Schools traditionally teach knowledge and rules. This is not enough and tend to inflexible in keeping up with the rate of change that is happening in the world. Here Drayton mentions the work of Mary Gordon who is also at the conference and her movement Roots of Empathy. Ashoka aims to have within 5 years 80% of all primary school principals to be aware the importance of empathy in school. Young children need to master empathy, older children and youth need to practicing being changemakers. This is where Youth Ventures, an initiative started by Ashoka fits in. Drayton mentions the greatest gift we can give a child is the permission to make change, to tell them, “why don’t you do something about it?” And then get out of the way and let them do their own thing. It’s about empathy, teamwork, leadership and changemaking. Traditionally there is a gap between business sector and citizen sector. One seeks to maximize profits, and seek out new markets, while the other is concerned about serving local communities. When you bring them together, in hybrid value chains new levels of productivity can happen. Drip irrigation is an agricultural technique that delivers just the right amount of water to crops, allowing arid land to be cultivated. However this technique is cost-prohibitive for impoverished farmers. Businesses have the resources to mass produce the equipment. However it was the social entrepreneurs, who is keenly aware of the farmer’s needs and can work with the local community and the farmers, who find a way for businesses to serve the farmer and to access this new market. These markets have been too risky for the businesses to enter, with returns on serving the poor uncertain. Farmers don’t have the financial means to purchase the equipment individually. However when the social entrepreneurs lays the bridge between the two, it’s a win-win situation, with the businesses gaining access to an untapped market and the farmers benefiting from higher production and two or three-fold increase in yield. Also in Colombia, an Ashoka fellow approached a high-end tile manufacturer and proposed a line of high-quality but low-cost tiles that could serve the low-income market. This new line of tiles ended up being highly successful. In the past 9 years running, over half of all Ashoka fellows have changed government policies and over three quarters have changed patterns in their field, proving their value is in bridging gaps between the government and businesses and the needs of local communities. Social entrepreneurship has been a little slow in coming to East Asia. Korea is not alone in being unprepared to deal with a future where change is ever-accelerating. It is not alone in not working with and adequately equipping its young to be changemakers. Most of the youth culture around the world is not empowering. Tell stories of people making change in your corporate advertising. Essentially he was saying, “take on a big pattern changing idea for society.” He pointed to Walmart and its work and commitment to sustainability. He also challenged the media to find young leading social entrepreneurs. To tell the success stories, and support role models. Social entrepreneurs don’t build big organizations. They build big movements. It seemed to me that all his points had a symbiotic relationship with each other. You need changemakers to create a better world, however changemakers don’t work alone. And you cannot imagine a world of changemakers without addressing how the young are taught to empathize. It felt like I was listening to Drayton’s personal journey. He started Ashoka 25 years ago by seeking out and supporting changemakers around the world. After conducting thousands of interviews in the pursuit of changemakers, his hard-won conclusion, institutionally embodied in Ashoka, is: our future, and the hope for a better world, lies with how we raise our children.